Sometimes secrets DO make friends! 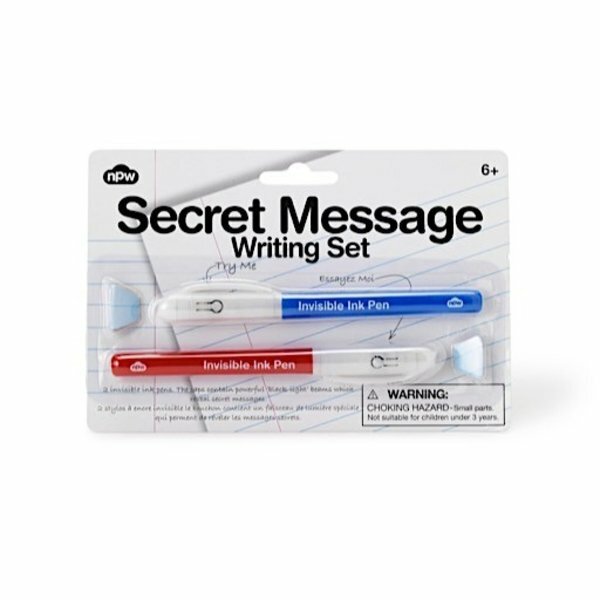 This Secret Message Writing Set is super cool. Each pen contains invisible ink and the caps contain a blacklight UV beam, which illuminates the message. Contains two pens that work on any surface.